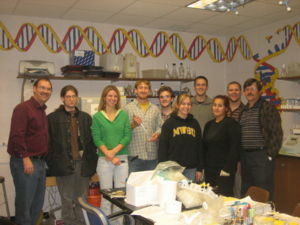 As a part of iGEM2006, a combined team from Davidson College and Missouri Western State University reconstituted a hin/hix DNA recombination mechanism which exists in nature in Salmonella as standard biobricks for use in E. coli. 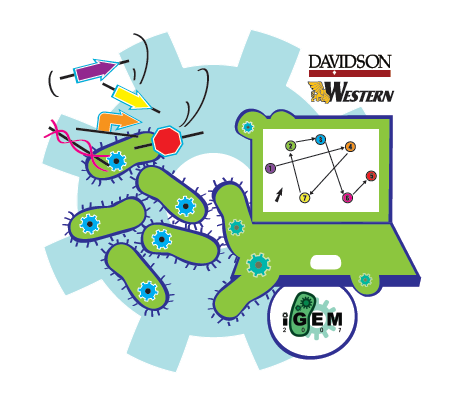 The purpose of the 2006 combined team was to provide a proof of concept for a bacterial computer in using this mechanism to solve a variation of The Pancake Problem from Computer Science. 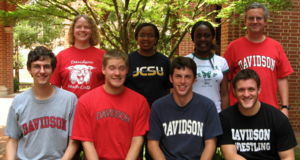 This task utilized both biology and mathematics students and faculty from the two institutions. 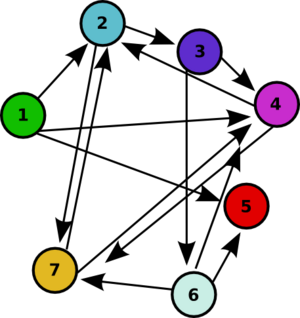 For the graph used in Adleman's paper (shown above), the Hamiltonian Path Problem would ask: can you find a path along the directed edges that travels from node 1 (green) to node 5 (red) and visits each node on the graph exactly once? This page was last edited on 28 November 2007, at 11:41.